Great Horned Owl are a large owl with the distinctive horns, or ear tufts, that give them their name. There are other owls with similar tufts, but the Great Horned Owl is larger than most of these. They are common throughout most of North America, though I have found owls of any sort difficult to find. 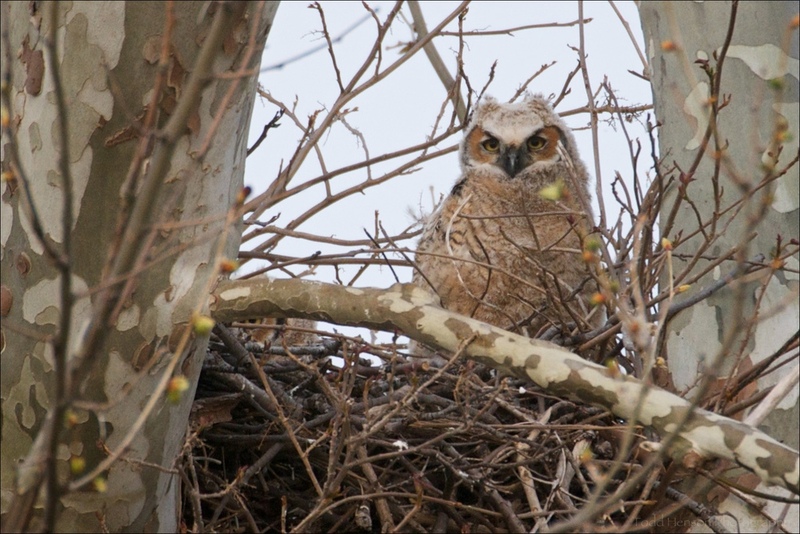 In 2010 a pair of Great Horned Owl took up residence in a large Osprey nest. They had at least two young. 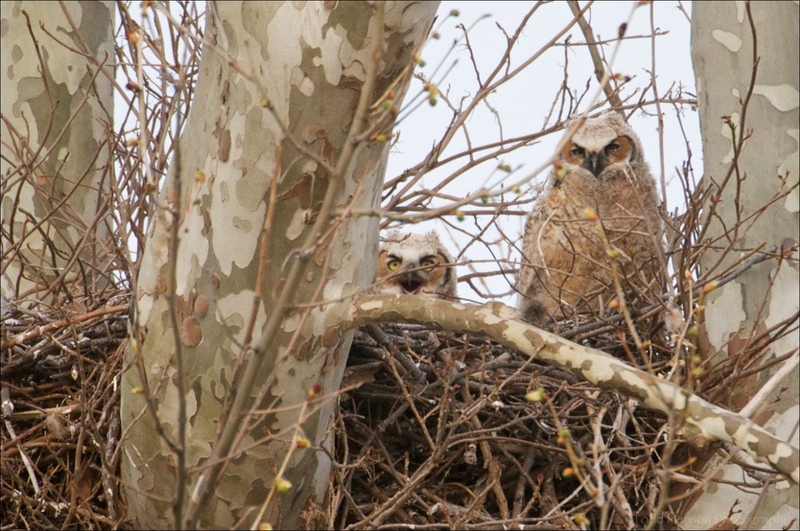 The photos show one of the parents in the nest, likely the female, two young in the nest, and one after it fledged. Owls are magnificent birds and I hope I have the opportunity to photograph more of them.